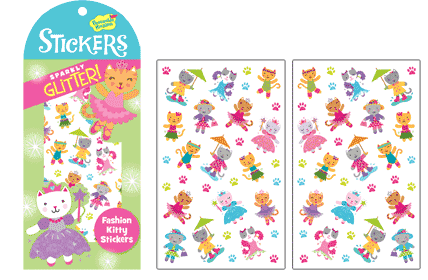 Adorable kitty stickers in various forms of dress and activity. 2 sheets. 64 permanent acid-free glitter stickers.